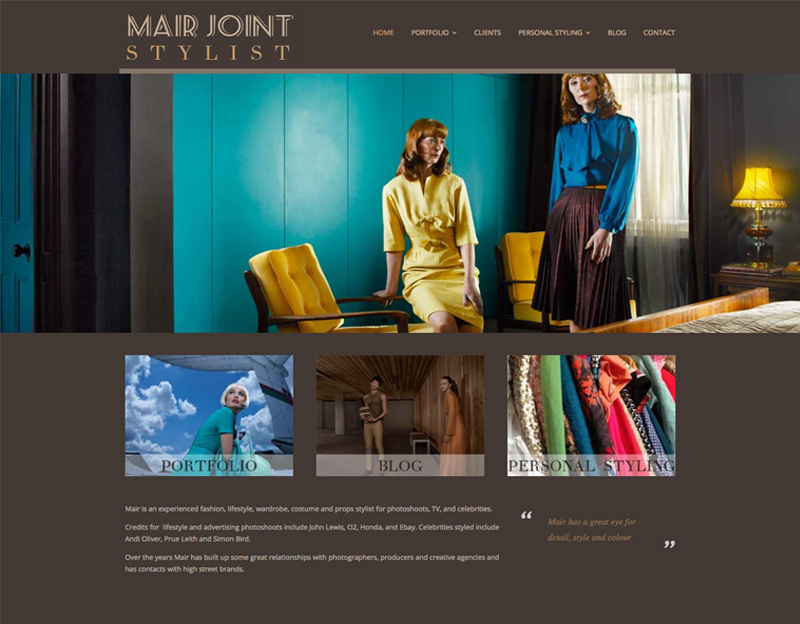 Mair is an experienced fashion, lifestyle, wardrobe, costume and props stylist for photoshoots, TV, and celebrities. She wanted a website that she could update herself to showcase the work that she does in a series of galleries under the portfolio heading. The site is mobile friendly and built in WordPress for easy updating. The design was fun and I built the site to reflect the personality of Mair.